But now its lost the metallic sheen, looks dull like grey paint. I think this happened in last couple of patches. I don't have the gift cammo for Hurricane II or Tornado so don't know if there is similar issue for them. Similar bare metal effect is still working fine on the Soviet T3-6 Bomber gift cammo & various other cammos I have with bare metal. 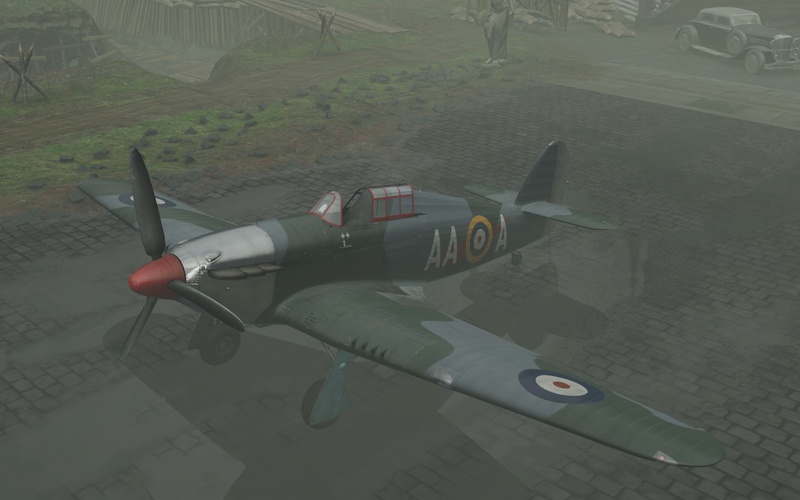 Side-point: has WG looked into possibility of transferring the baked-in cammo on Hurricane Ia and Spitfire Ia to become Gift cammo with bonuses? Edited by hoom, 09 April 2019 - 06:47 AM. Thank you, sent to the team! Yep. Gathered, filed, fixed Luckily, it's the one that is really not that hard to fix. Yeah I figure it was probably just a missing line for the shader or something.